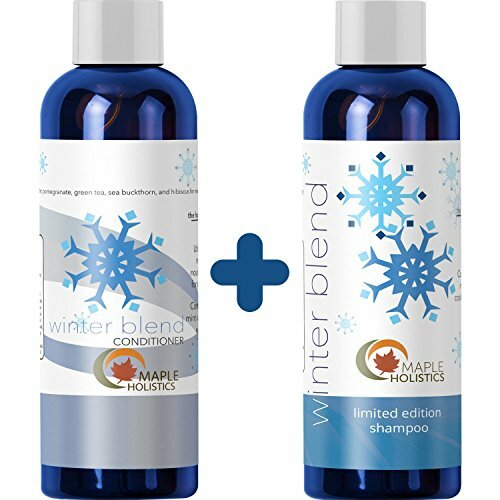 WINTER BLEND cooling color safe shampoo & conditioner is specifically designed to revive dull lifeless hair. Nourishing oils penetrate follicles for hair that’s strong & smooth from root to tip. 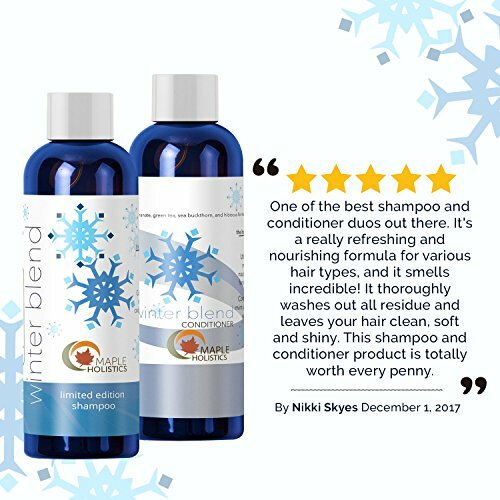 REFRESHING SHAMPOO CLEANSER plant-based volumizing deep-cleanser removes oily build-up while helping reduce dandruff & hair loss. 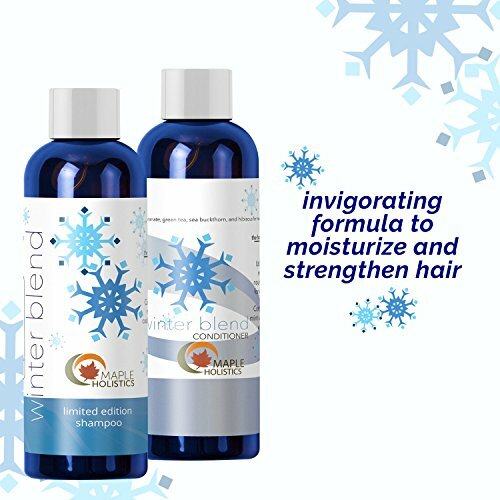 Strengthening formula gives thin hair a lift for thicker looking hair. NOURISHING CONDITIONER for dry hair leaves hair shiny strong and healthy-looking. Hydrating oils refine and revitalize straight and curly hair. Replenishing conditioner promotes smooth and sleek hair. 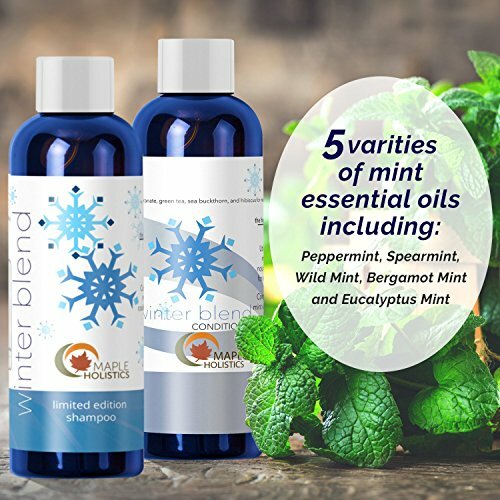 INVIGORATING ESSENTIAL OILS Peppermint Spearmint Wild Bergamot Mint Eucalyptus Mint Oil Aloe Argan Oil Shea Butter Pomegranate Hibiscus Green Tea Sea Buckthorn Silk Amino Acids Jojoba Keratin. 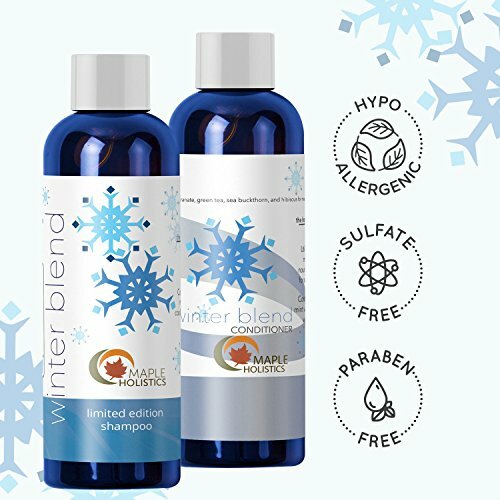 MONEY BACK GUARANTEE winter blend shampoo and conditioner bundle is sulfate free paraben free & cruelty free for color treated hair. Get sophisticated salon-style results without harmful chemicals.